Make a statement. Differentiate your business. Our printed commercial roller shades combine beauty and functionality to help you create a space that uniquely reflects your business. From a yoga studio to a Fortune 100 company and everything in between. 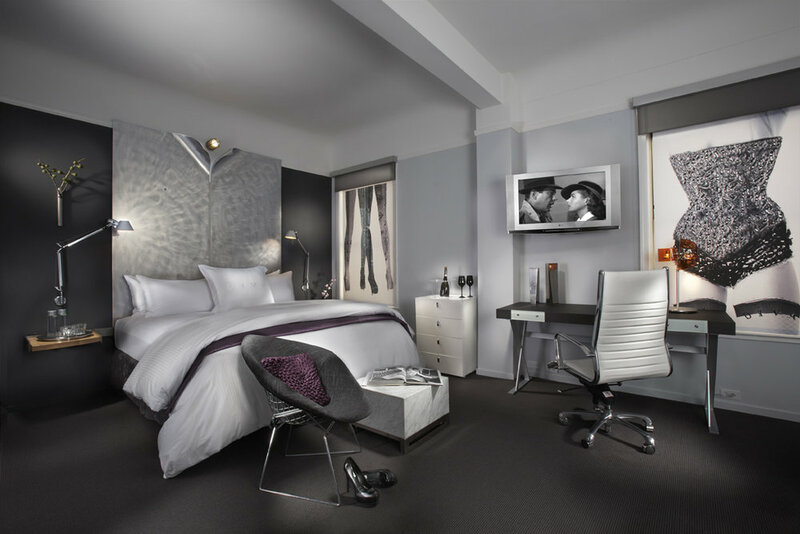 We love working with small businesses, facilities managers, architects, and people in the trade to help them design the ideal printed roller shades for their projects. 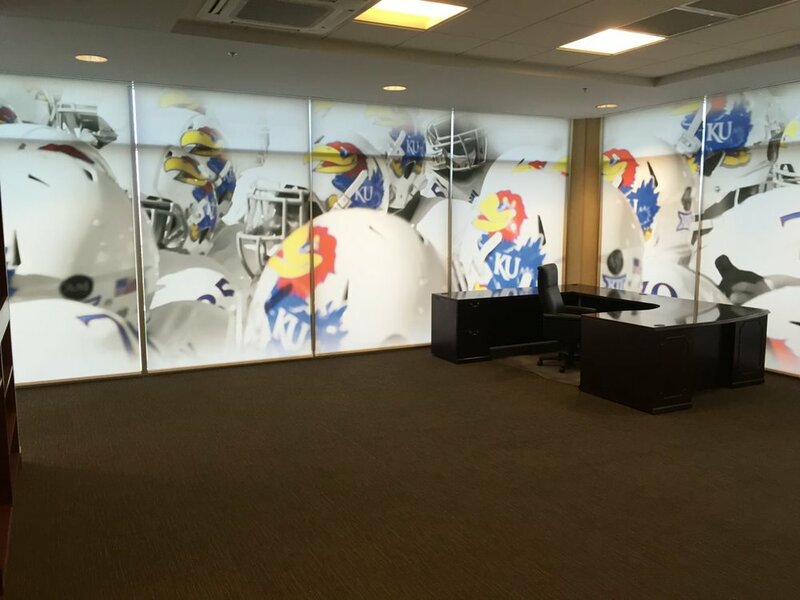 Custom printed window shade in conference room. This shade was specifically used to cover a whiteboard while not in use. Custom printed window shades flank television in Mississippi State baseball booster club. OrangePiel window shades do more than provide privacy and protection from the sun - they bring art into your everyday. 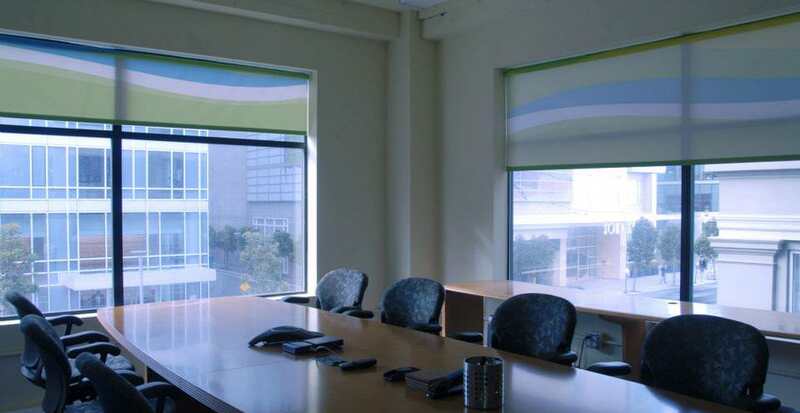 Our printed commercial roller shades have the functionality of the perfect window treatment, with a style all your own. See your creation before you order with the OrangePiel Design Studio. Upload your favorite image or design. Need help finding the perfect image? OrangePiel offers graphic design services and consulting for your custom printed decor projects. We understand that your job is hard enough without having to worry about designing the ideal space to attract tenants. That’s why we created our custom printed roller shades to be the perfect combination of artistic design and unwavering functionality. We’ve also kept cost savings and flexibility in mind. With no additional setup or printing costs you can create a different look and feel in each office or floor of the building. Without saying a word, you communicate something about your company the moment your clients first step into your office. OrangePiel’s printed commercial window shades give you a unique opportunity to reinforce your brand. Whether that is through custom printed logo window blinds or unique visuals and functional art, you can be sure that they will remember their visit...and be more likely to return in the future. At OrangePiel, we understand that the aesthetic of a building is a major factor in attracting tenants. We also know that for a facilities manager, the budget is important. Our custom printed roller blinds make it easy to produce your desired look and feel, so you can attract the kind of tenants you want without going over budget. At the same time, they're easy to operate and maintain and completely customizable to your building's needs. Give us a call and we will help you determine the best solution for any space - no matter how challenging. Expert gemologists McNeal & Grunberg use OrangePiel Commercial Printed Window Shades to control light and announce their company. Whether you want to project your brand to the outside world or create a look or feel inside the office, our commercial printed window shades can help you do it all. By choosing interior or exterior facing window shade orientation, you control the direction of the printing. Want to create a different look for each side? OrangePiel can create dual-sided printed window shades to curate the atmosphere you want to create on either side. Our printed commercial window shades provide a simple, effective way to control the look and feel of your building without the time and cost of a remodel. They also protect furniture and flooring from sun fading and cut energy costs by reducing internal heat transfer. With motorization, you can automate your shades to raise and lower at certain times, so you won’t have to depend on your tenants to remember to do so. Plus, our window shades are completely customizable, meaning that you can pick the best image or pattern for your facility. The workspace environment has a significant effect on productivity. There are enough distractions in the every day - your workspace shouldn't be one of them. Whether you want to screen an unwanted view or take advantage of natural light, you get to decide which combination of features will best suit your needs. And, you can rest assured knowing that all our materials are PVC-composition free. Our state of the art ultra-fine UV Printing and dye sublimation processes yield printed materials that will NEVER fade - even in harsh sunlight. However, we understand that keeping the workspace fresh creates a steady stream of inspiration and ensures you stay relevant. That’s why every custom printed window shade is created with cost-savings and flexibility in mind. We make it easy to change out the image when you want to, not because you have to. If you decide it’s time to refresh your space, we can use existing installed hardware and simply provide a new print. Without the need of professional installation, we can provide replacement prints to keep your lobby, conference rooms, and offices feeling modern, contemporary, and fresh. Thank you! We will contact you ASAP about your project. Please feel free to call us if you have immediate questions.